The L20 has a French lace base with a separate Swiss lace front that can be replaced when it starts to wear. Bleached knots make the hairline undetectable just like the rest of the base. 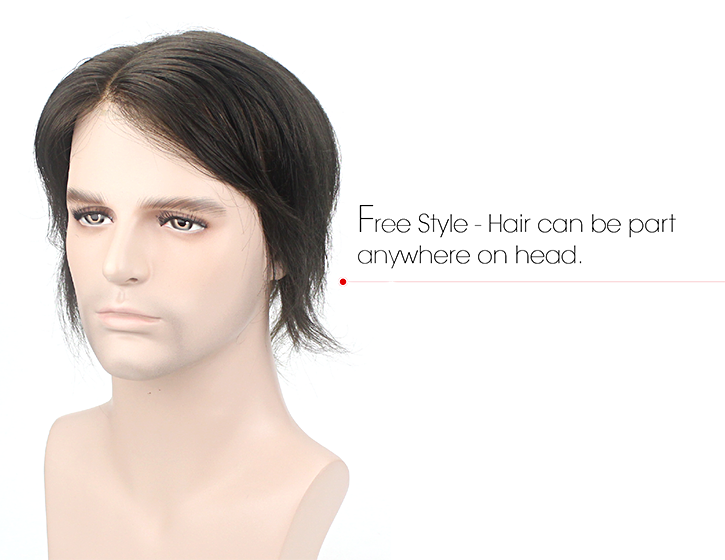 The L20 custom hair piece toupee has a full lace base with a Swiss fine lace replaceable front section. This feature prolongs the lifespan of the hairpiece toupee because you can easily replace the most noticeable part of the system without having to buy a completely new hair piece toupee. Made of the finest delicate Swiss lace available on the market, the front section of this hairpiece toupee is completely invisible on the skin. The combination of French lace back and Swiss lace front means this hair piece toupee is completely breathable and so light you will forget you are wearing it, making it ideal for those who live in warmer climates. The combination of both Swiss and French lace balances the need for durability and a natural look. We can also make the Swiss lace narrower if you like. You can also part the hair in any direction and style it freely. 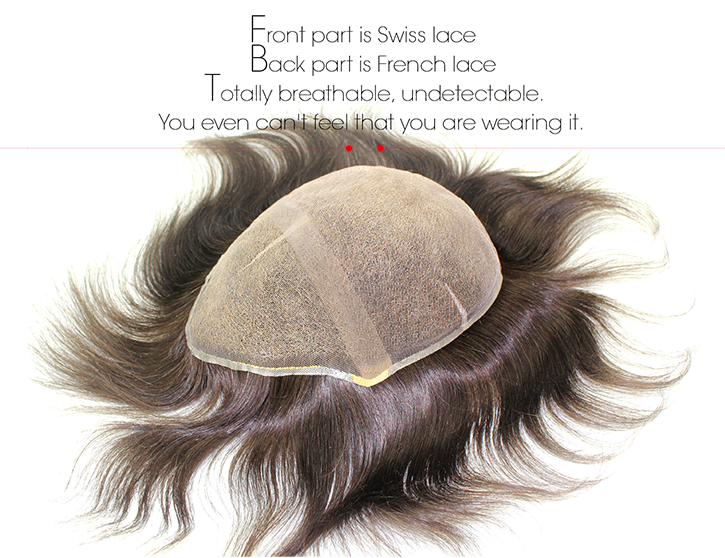 This hair piece toupee is perfect for those who value a natural look over durability. This is a custom made product as an example, all the specifications will be customized per your need. Below are the specifications of the product shown in the pictures for your reference. 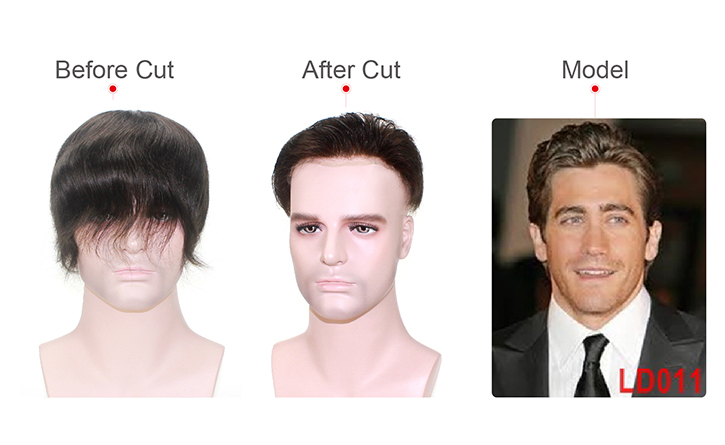 Lordhair provides hair cut-in service. You can send in pictures to show the hair style you want. 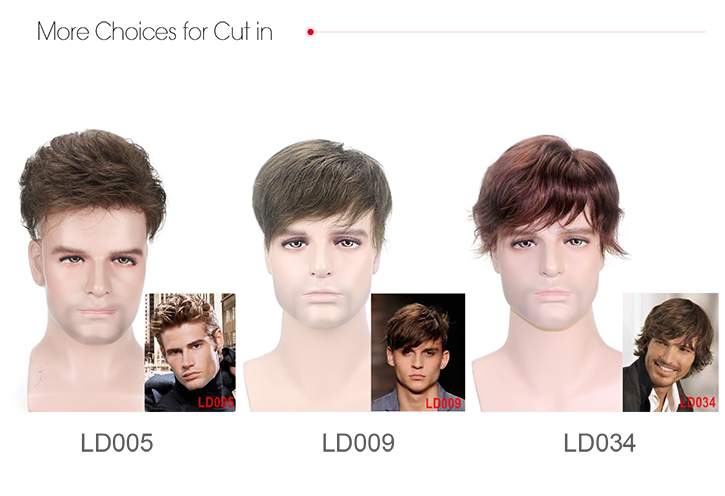 Or you can choose a hair style among the pictures we offer.